October 4, 2018 | Centro Team | Centro in the News! As it prepares to open its first D.C. pop-up hotel in NoMa, WhyHotel has just signed a deal for its second project in Arlington. WhyHotel signed on with Orr Partners to operate temporary hotel rooms in 150 of the 366 units in the Centro Arlington development, scheduled to deliver in June, Orr Partners Chairman David Orr tells Bisnow. 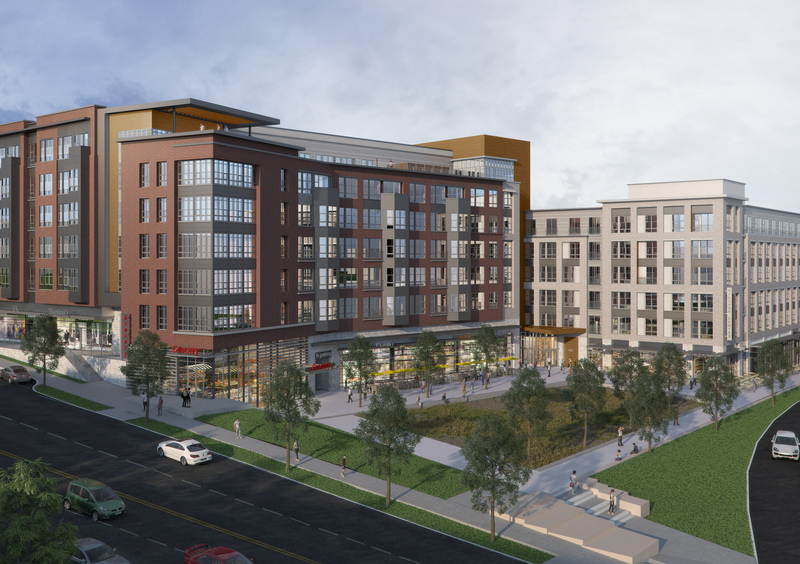 The project is replacing the former Food Star grocery store at the intersection of Columbia Pike and South George Mason Drive. Orr Partners signed Harris Teeter to anchor the project with a 50K SF grocery store, expected to open in September. It has an additional 20K SF of retail, where Orr said he is in talks with restaurants and a coffee shop. The development sits less than a mile from the 72-acre Foreign Affairs Training Center campus, the federal government's training facility for foreign affairs specialists. Orr said opening a pop-up hotel in the building during its lease-up phase will provide temporary housing for the visitors to that campus. "The primary reason we did it is it activates the project right away with 150 units getting filled up very quickly," Orr said. "It activates the retail at the base of the building, the Harris Teeter and the coffee shop." WhyHotel, a spinoff from Vornado, opened its first pop-up hotel at The Bartlett in Pentagon City in early 2017. It then opened one in Baltimore, and it is planning to open its first in the District this month at Equity Residential's 100 K building in NoMa. The company sends roughly 20 staff members to operate a temporary hotel in a portion of a new apartment building during the early stages of a project's lease-up. Developers have shown interest in the WhyHotel concept because it can provide ancillary revenue during the lease-up phase and bring life to mostly empty new buildings. WhyHotel CEO Jason Fudin told Bisnow last month he expects to open in about six D.C.-area locations next year and then plans to expand nationally.